Easy to use messaging application with Salesforce integration. Is there a better alternative to Tok? Is Tok really the best app in Chat category? Will Tok work good on macOS 10.13.4? Tok is a smart and efficient communication workspace made for teams. With full Salesforce integration, it’s the easiest way to improve your collaboration and productivity. Tok takes Chatter to the next level. Maximize your Chatter capabilities with this easy to use messaging application that includes an interface from your laptop, tablet or phone. 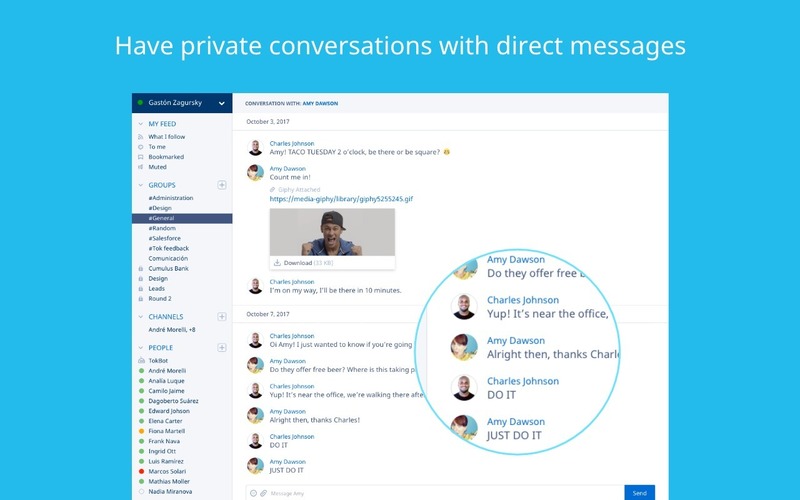 Stay on top of your chat activity without having to log into your org! Talk in real-time with public and private conversations. 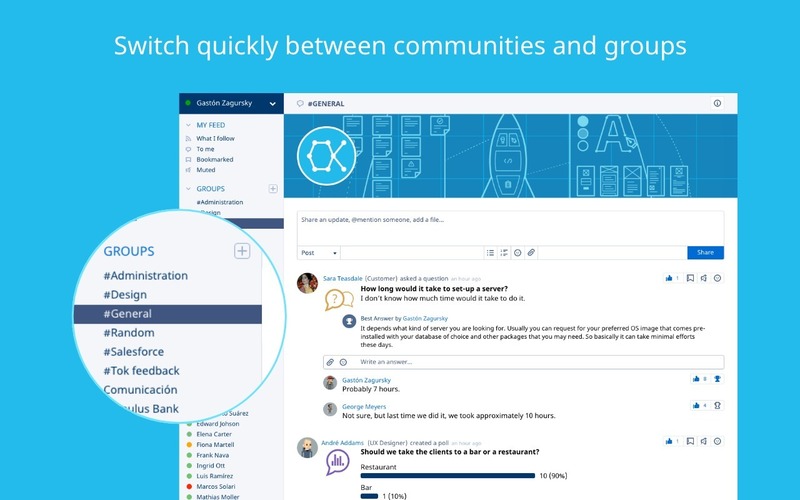 Jump between group messages and communities with ease. Tok needs a review. Be the first to review this app and get the discussion started! Tok needs a rating. Be the first to rate this app and get the discussion started! 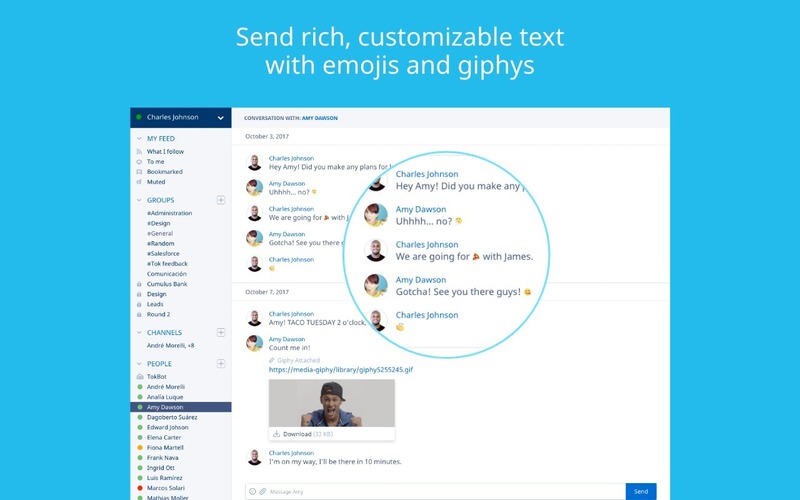 Send rich, customizable text with emojis and GIPHYs. 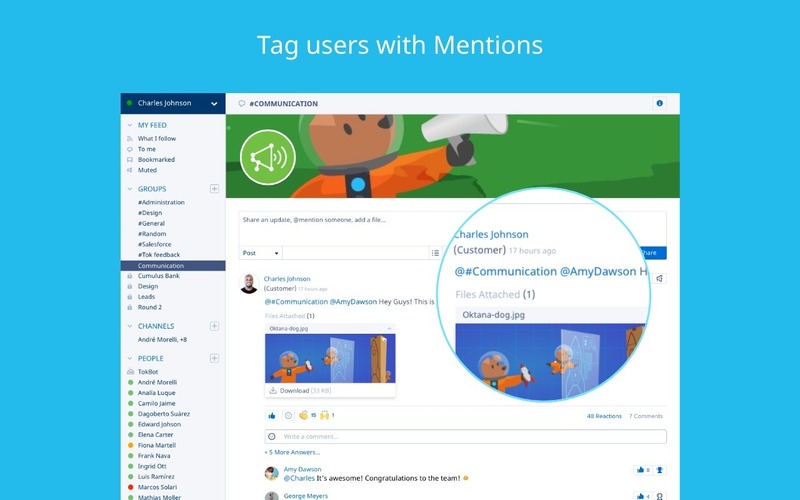 Filter content by Follows, Mentions, and Bookmarks. Comment, like and bookmark messages. Stay updated with browser alerts on your Salesforce account. Set up email notifications directly to your inbox. Instantly see and hear desktop sidebar and dock icon alerts. Find colleagues who are online or offline. Track your messages and archives for auditing purposes. Upload files directly from your desktop to Chatter.